The Ecuador-based musician teams up with artist Renata Chebel to create a surreal new video for the lead track from his latest EP, Cantos de Visión. 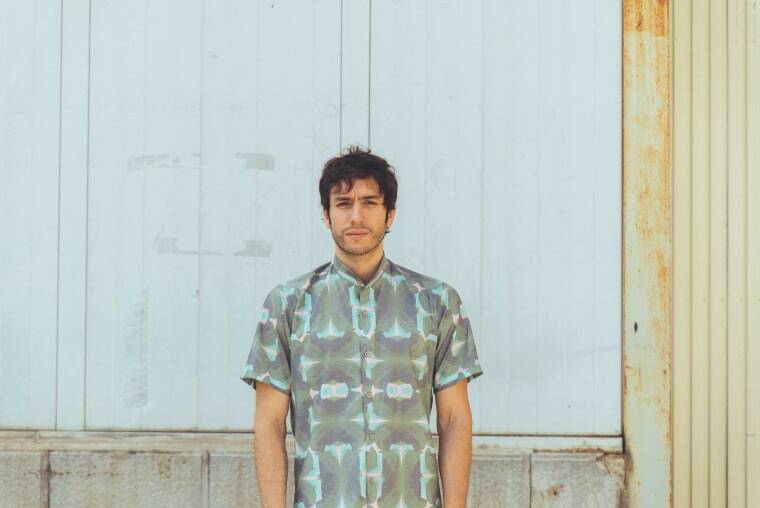 On "Tzantza," the lead track from Nicola Cruz's new EP Cantos de Visión, the marimba is king. The Ecuador-based artist relocates the Afro-Ecuadorian instrument to a club environment, but its light and airy tones sing out clear. Today, The FADER is premiering a music video for "Tzantza" that matches its pulsating sensuality with perfect symmetry. Brazilian video artist Renata Chebel created a collage of shifting images, including disembodied aquamarine hands with absurdly long acrylics and a crystallizing body of water. The video plays out almost like a dance dictated by the laws of nature. Considering that Cruz and Chebel were inspired by time they spent together exploring a Greek island, it makes sense that the result of their collaboration feels so organic. “[Renata and I] met up around August 2016 back in Mykonos," Cruz explained to The FADER in an email. "[We] were inspired by swims in the beautiful Mediterranean [and] came up with the idea to create a visual ally for ‘Tzantza.’ I remember seeing these purple rocks when diving, seductive slow movements by the currents triggered the idea."